Greeting from South Carolina! Today was our last day of training camp down in Aiken, SC. Starting tomorrow, we'll be in Princeton, preparing for the first National Selection Regatta. 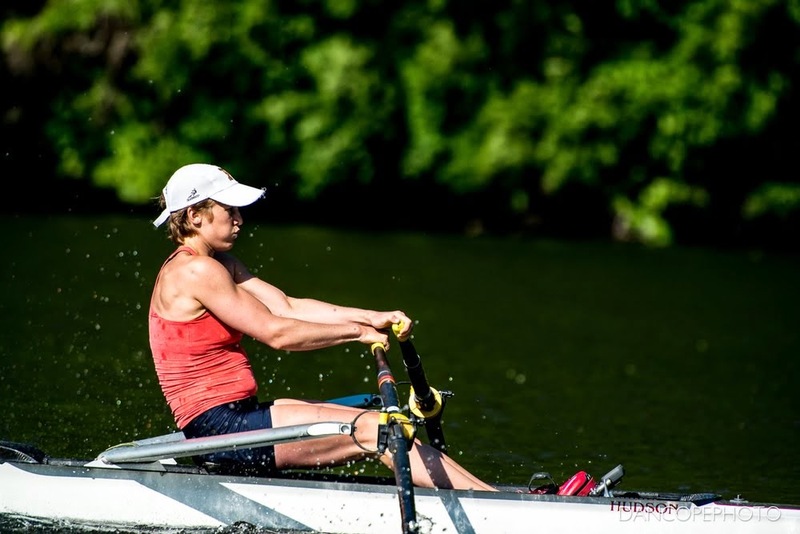 For lightweight women, this is an opportunity to race in singles and see how we stack up early in the season. I'm looking forward to it! This week, we've been doing a lot of race prep work and spending a lot of time getting used to our boats. Leaving California, I also left behind the single I was rowing (it was a club boat). Moving to GMS, I've had to find a new boat. I started out in a club Filipi, but after a few days, I'm back to a Hudson, and happy about it for the time being. The Hudson is big for me—two sizes larger than the one I rowed in California—but it still feels quick. I'm considering a boat purchase soon—a big decision! (If you know anybody selling a 2-3 year old lightweight women's racing shell, let me know.) I'm hoping to try out a few different brands over the next 6-9 months and find the one that suits me best. So far Hudson is in the lead, but I've yet to try an Empacher or a Fluidesign.